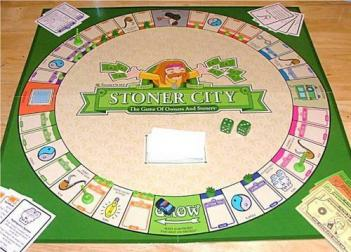 Each player tries to build their own marijuana empire, and the player with the most weed at the end of the game wins. Kicker: A police car moves in the opposite direction of the players, when the police car lands on your spot, you have to go to rehab. Basically it's Monopoly except everyone is high (which is a requirement to play... or at least should be).